Home » Global » Free Oscar López Rivera! 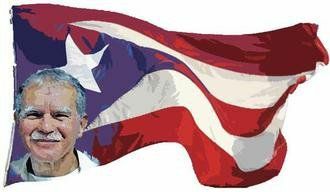 The year 2016 will represent the 35th year of imprisonment of Puerto Rican freedom fighter, Oscar López Rivera. On Jan. 6, he turned 73 years old. Oscar López was born in Puerto Rico. His family emigrated to the U.S. when he was 9 years old. He was drafted into the U.S. Army and served in Vietnam. Afterwards, he became a community activist and a member of Fuerzas Armadas de Liberación Nacional. The FBI persecuted López for five years, and he went underground. 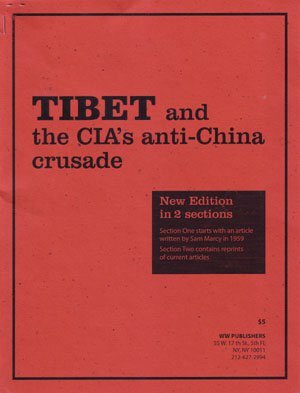 He was captured in May 1981 and sentenced to 55 years in prison for “seditious conspiracy” and has been in solitary confinement for most of those years. His release date is July 27, 2027. Activists in New York City celebrated the birthday and life of Oscar López at the 1199SEIU union headquarters in Manhattan on Jan. 8. The event was high energy in a packed room. At the beginning of the program, Cuban Mission to the United Nations delegates dropped by to express their support for Oscar López and for Puerto Rico. For the past several years, international support for Oscar López has included Nicolás Maduro, Venezuela’s president; Alejandro García Padilla, Puerto Rico’s governor; and Carmen Yulin, San Juan’s mayor. Present at the celebration were several former political prisoners, who spoke briefly about their imprisonment and what Oscar López represents to them. Lynne Stewart, who received a compassionate medical release from prison on Jan. 1, 2014, described prisons as “death camps” and “hell holes.” She announced that she’s still alive two years after discharge, when authorities had predicted and hoped that she would be dead within six months. “Re-entry gives life,” she said, and added that she “will never show the enemy that they can win. Live like Oscar!” She urged everyone to develop a relationship with political prisoners by writing to them. The other former prisoners present mutually stated that Oscar López represented for them the ultimate defiance toward the evil U.S. empire: a steadfast, uncompromising commitment to freedom, humanity and mutual solidarity, and an inspiration to others to continue in Oscar’s tradition. Former political prisoner Laura Whitehorn mentioned that she recently spoke to political prisoner Herman Bell, who sends his love to everyone from prison. 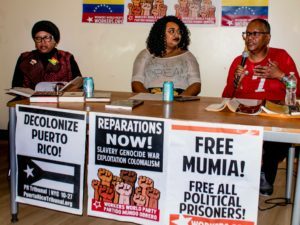 The event also focused on sick prisoners and aging political prisoners who’ve been behind bars for decades because of their beliefs and for daring to speak out against the hypocrisy of so-called U.S. democracy. As an example of white supremacy, mention was made of the contrast between this government’s peacemaking treatment and response to the armed terrorist militia takeover by white cattlemen of Oregon’s Wildlife Refuge, as opposed to their racist, murdering response to unarmed Black men and youth. In the 1870s, white men stole that land from the Indigenous peoples. A historical overview was given on the European invasion and colonization of Puerto Rico beginning with Columbus in 1492, which culminated in the massacre and extermination of the Indigenous Taíno people and the exploitation of enslaved Africans. The Spanish language was imposed. These developments led to the formation of the Puerto Ricans as people with a Spanish, African and Taíno heritage. The subsequent U.S. invasion and colonization resulted in the imposition of the English language. Information was given about ongoing gentrification and privatization of public land, particularly the beaches. The people are fighting to defend their right over their land and to have access to a beach designated for the construction of a new Marriott hotel. However, the federal court has ruled that the people have no right to intervene. They are calling for a boycott of the Marriott. One of Oscar López’s dreams is to see a Puerto Rican beach again. 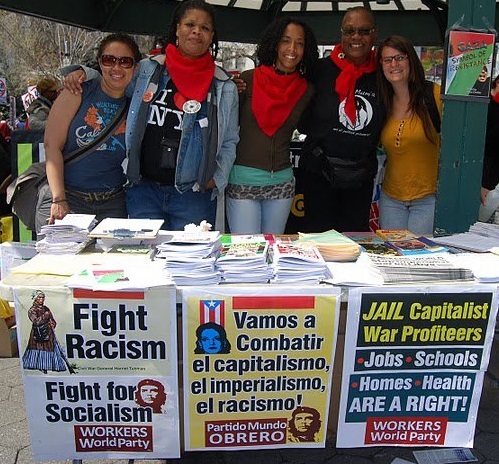 At the end, there was consensus that the long fight against capitalism requires more activism in the streets, among other things, with increased demands for social justice. Free Oscar López Rivera! Oscar López Rivera, presente! Send a letter or postcard to Oscar López Rivera #87651-024, FCI Terre Haute, P.O. Box 33, Terre Haute, IN 47808. Or donate to his commissary by money order to Federal Bureau of Prisons, Oscar López Rivera #87651-024, P.O. Box 474701, Des Moines, IA 50947-0001. Print his name and prison number on the money order.